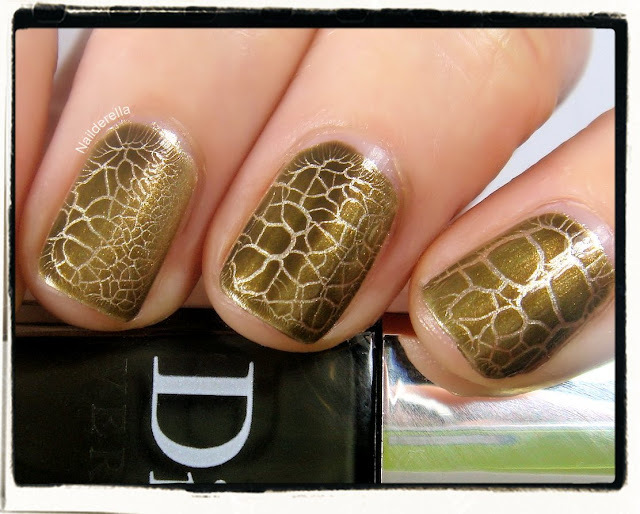 A crackle polish is making a comeback on my blog! 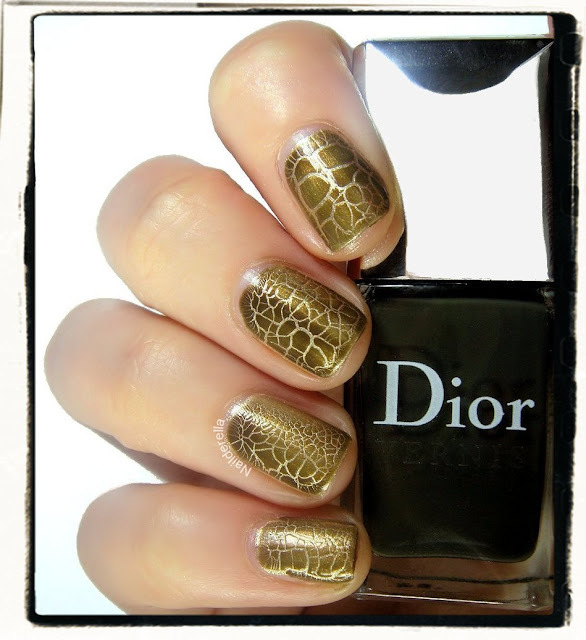 But it's not a standard crackle I'm showing you today, it's a crocodile leather effect polish from Dior. 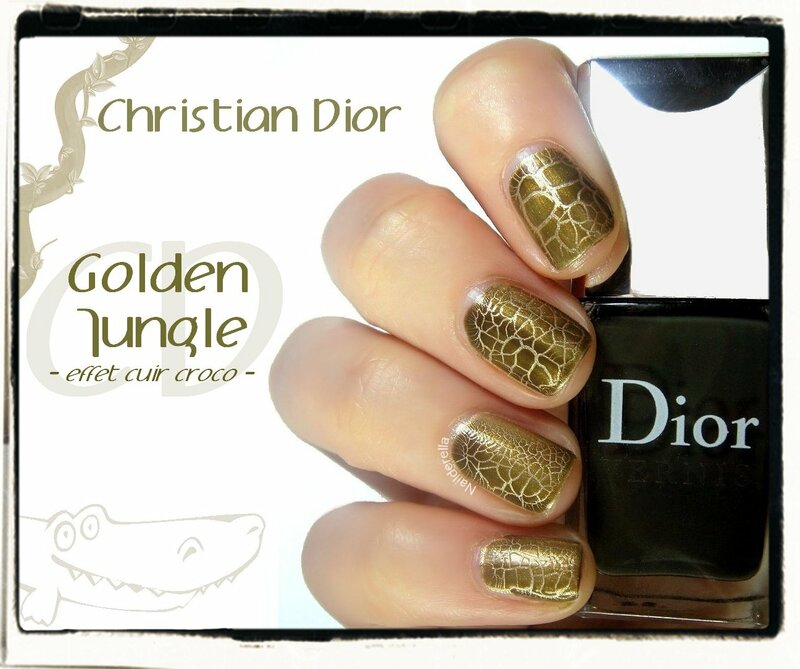 It's called Golden Jungle and it's a duo made of a gold base polish and a khaki crocodile effect top coat. Both bottles hold 10 mL (0.33 FL.OZ) of polish. 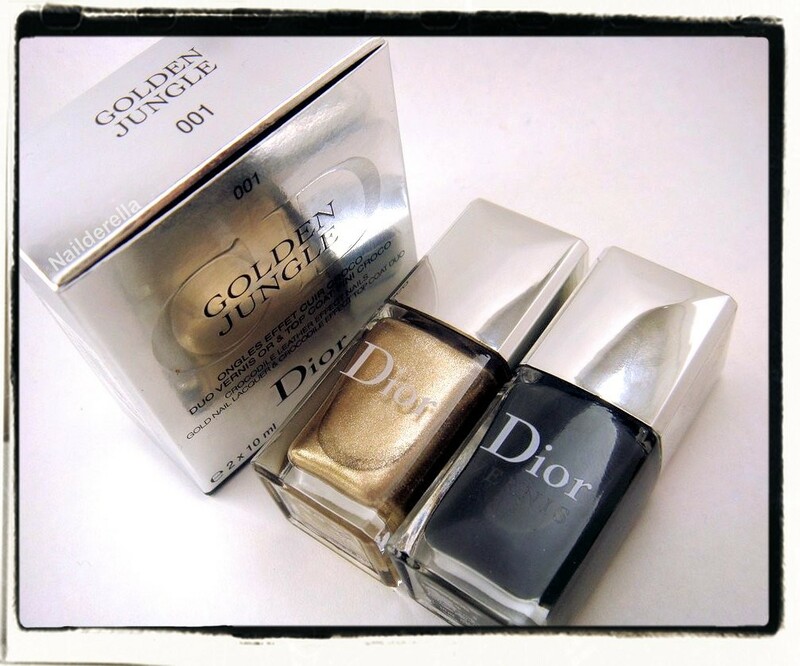 This duo is part of Dior Golden Jungle collection for fall 2012. You can see in the above picture as well as in the following photo the different patterns you can obtain according to the thickness of the coat of crocodile effect top coat you apply. The thiner your apply it, the finer the cracks will get. 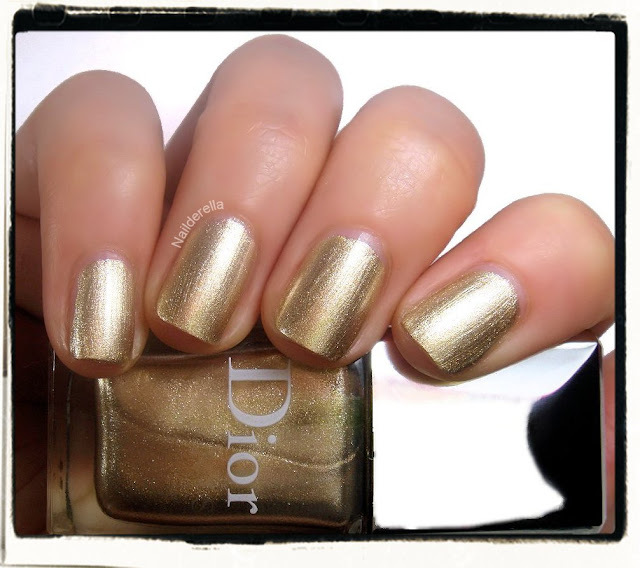 On the above picture, I applied rather thin coats on all my nails, while on the picture below, I applied thicker coats. Note that thick coats will give you a darker look, while thiner coats will let more of the gold base shine through the khaki top coat. The khaki top coat is actually a jelly and that's why if you apply a thin coat, you will be able to catch a glimpse of your bae color through it. You can see the jelly consistency of the crocodile effect top coat in the above pictures. And here are some pictures of the gold base (148). 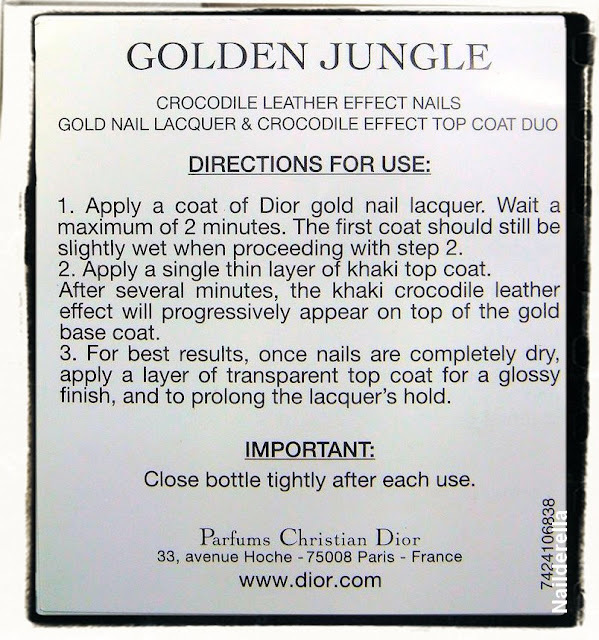 By the way, the duo is called "001 Golden Jungle Crocodile leather effect nails - Gold nail lacquer and crocodile effect top coat duo", and the khaki top coat is number 608. The gold base is a very beautiful sparkly white base gold. Inside the box, you can find these instructions. Final verdict: The gold base is sincerely gorgeous. I especially love that there is some white in it. It makes it look softer than a yellow based gold. 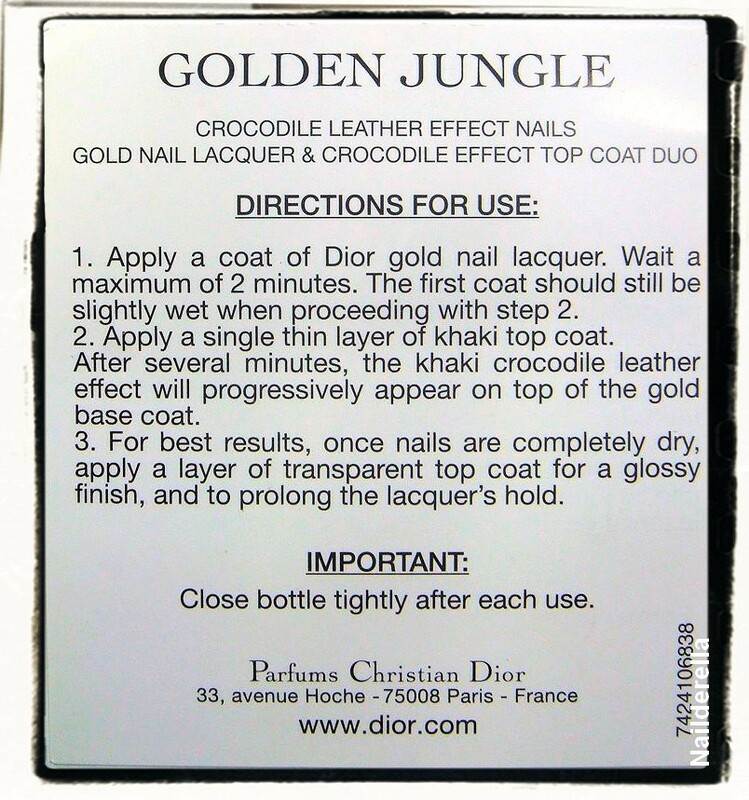 I am pretty sure I will also wear it alone, without the crocodile top coat. 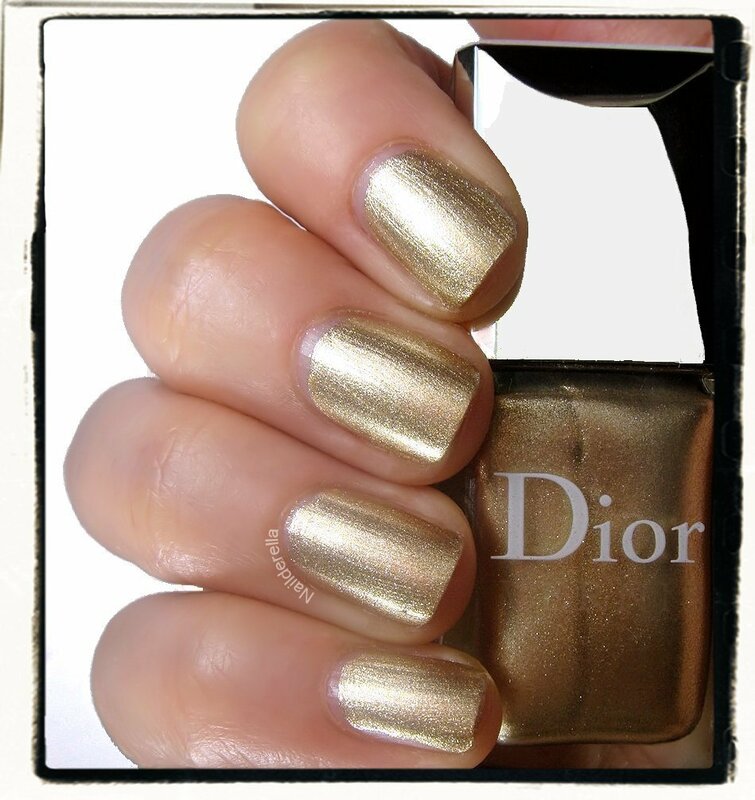 To wear it without the top coat, 2 coats are necessary but if you plan on adding the top coat, one coat is enough. Application was really smooth and easy. 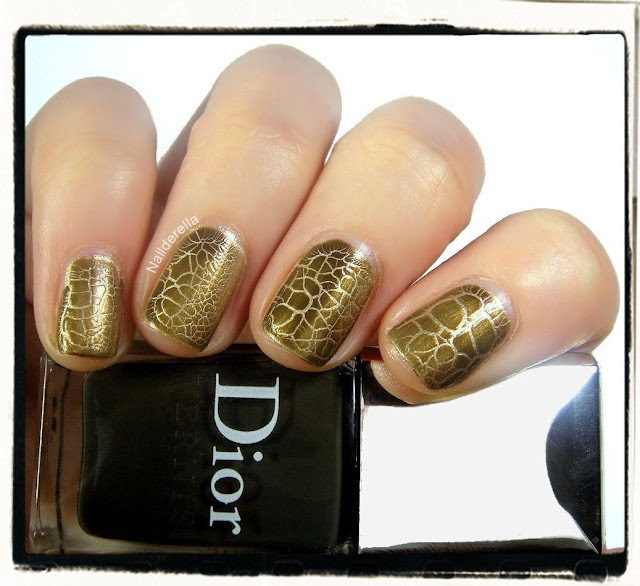 For the crocodile effect top coat, I first tried it on a fake nail and failed at getting a pattern. It simply didn't crackle. I am not sure why because the base color was still wet and eventually on my second try it worked nicely and so did it for my other attempts. Note that if you apply it on your one day old manicure for example, the polish won't crackle because it needs a still slightly wet base to crackle. The crocodile effect takes a couple of minute to achieve so you have to be a bit patient. I was honestly very surprised at how much I love the effect. 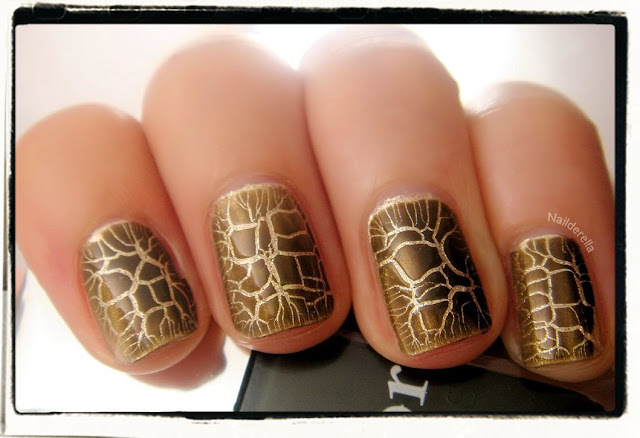 I'm not a huge fan of crackle polishes but here the pattern is different and the colors look beautiful together. Moreover, if you apply thin coats, the overwhole look will not get as thick as with standard crackle polishes, which is a huge plus for me. I also love the fact that it's a khaki jelly because you can still see the base color through it and it also prevents the heavy look of some crackles. For all these reasons, I am super happy with this duo and I can see myself wearing it a lot. And bonus: I kept it the whole last week on my nails without chips! Dior polishes can be purchased from your regular Dior counter or directly through dior.com.